i love a perfect meal. when i say perfect it's not entirely about the food, although that is of utmost importance in the end, it's also about the ambiance, the presentation and the vibe in general. come to find out that perfect meal is just a short drive down the p.c.h. from my office. newly opened malibu farm pier cafe has a motto "fresh . organic . local" that they live up to and the beautifully executed meal proves it. 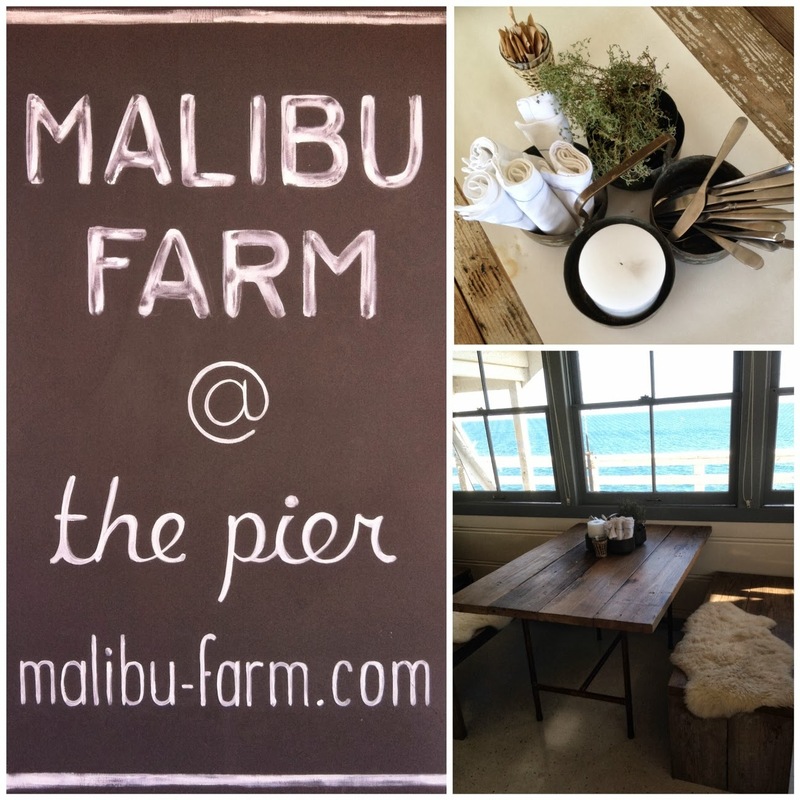 moments after i was told about malibu farm pier cafe, and seeing it was lunch time, i grabbed my husband and chloe for a quick bite. sitting at the end of malibu pier in their cozy little space, once inside i'd swear my blood pressure dropped 10 points. the feel is relaxed and comfortable with a nod to the eastern sea board. couple that with the view of the pacific and the warmth of the wait staff and owner, swedish born model-turned-chef helene henderson, and you have a marriage made in foodie heaven. our meal was simple yet elegant and extremely good. 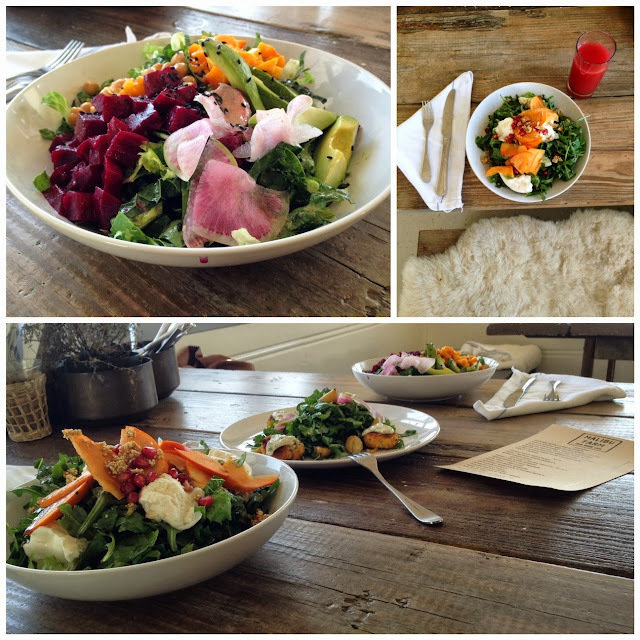 this is all made possible due to the fact that only the best possible ingredients are used and sourced not only by local malibu farms but helene's own garden, as well. our impromptu field trip was a fantastic albeit momentary respite from work that inspired me to get back to fresh, locally sourced, organic cooking in my own kitchen! p.s. a plus... beer and wine will be added in a month or so to round out that perfect meal. p.p.s. an after lunch stroll on the beach is a must.